Get ready to enjoy some cuteness with this interactive desktop wallpaper. Just try not to play with these penguins as they waddle adorably around your desktop background. Get ready to enjoy some cuteness with this interactive desktop wallpaper. 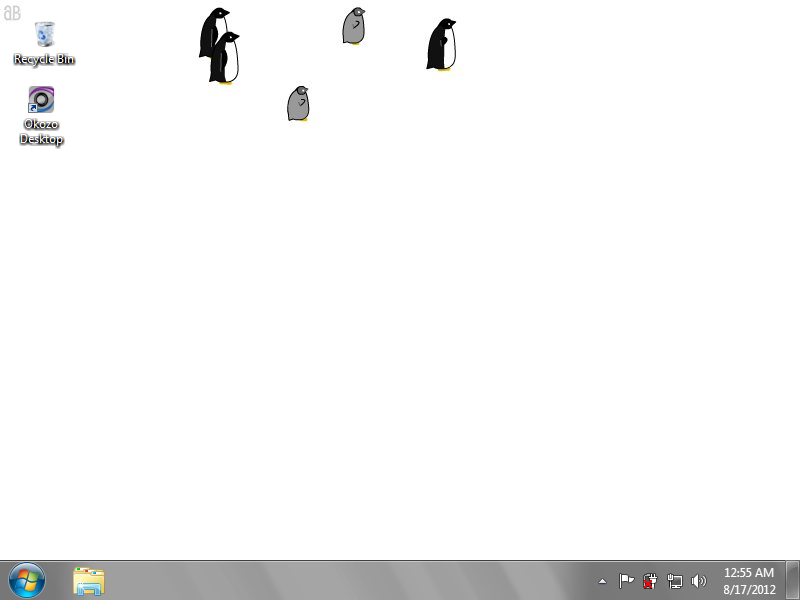 Just try not to play with these penguins as they waddle adorably around your desktop background. Watch them seek each other's company or lend a hand by dragging and dropping, and watch their little flightless wings flutter. Too busy to play? Just promise to check in on them when you can! A low-resource, lightweight animated desktop wallpaper. Safe and signed installer.